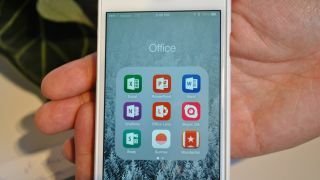 Office 2016 isn't just about new Microsoft Word and PowerPoint layouts. The new productivity suite has a ton of amazing new tricks and features that are designed to make your work (and play) a lot easier. If you still think of Office as something you tinkered with to write terms papers back on Windows 95, well you're in for a treat. Download the new Office 2016 and you'll get access to tools that automatically separate important and unimportant emails, connect to your social media accounts to help you plan your weekend, and help you plan group trips and activities. For the business user, there are a ton of new Office features that help you better communicate, collaborate and create. I'll walk you through some of these new features and how you can use them to improve your Office 2016 experience. Our SPAM folders are amazing. They collect emails from retailers and businesses with whom we don't want to have any contact whatsoever. But what about that uncle you just can't stand? Or that annoying coworker who constantly asks you to go to lunch? With Clutter for Outlook, your email usage signals whether or not emails should actually enter your inbox. For example: if you never, ever open your uncle's emails, Clutter will automatically send those incoming messages to a folder where they will land alongside your annoying coworker's lunch requests. You can access this folder anytime and move messages back to the normal old inbox. If you're worried you'll miss something important, don't fret. Clutter sends you a weekly digest that tells you exactly what was hidden. You can then command Clutter to never pull in that type of content again. Microsoft has made cloud document collaboration possible (years and years after Google, but I digress). Now, you and a friend can edit a Microsoft Word document simultaneously without having to save and share the document via email. Unfortunately, not all of our friends are tech-savvy (or task-oriented), and sometimes you just need to hop onto a call with them to explain things (or gossip). With Office 2016 you can jump onto a Skype call from within Microsoft Word and Outlook. This means you'll never have to launch a second application to begin your video call. You can simply press a button, select a chat partner and start chatting, er, collaborating. You know how you can look up words in Microsoft Office to find out whether you're spelling them correctly? Now you can use a feature called Smart Lookup in Word, PowerPoint, Excel and Outlook to find information on almost anything on the web. You simply highlight a word or phrase, right-click and select Smart Lookup. A sidebar will open with search results that fit your criteria. Want to learn more about Alaskan Klee Kais? Just type in the phrase, highlight it, right click on Smart Lookup and boom, you'll get tons of information about these cuddly little puppies. Yes, Apple has a similar feature in El Capitan. No, this isn't revolutionary. But, boy is this a useful tool, especially for people who create tons of content and don't have time to open and close separate apps for every query. This new/old app allows you to create interactive to-do lists that can be shared with family, friends and co-workers. Want to assign people tasks? Want to monitor everyone's progress? Wunderlist can help you get everything organized and tracked. Is there a slacker among your group of friends that always forgets to do his/her tasks? Wunderlist sends reminders, allows you to comment on other people's tasks and set due dates, just in case you need to micromanage your pals. Technically, Wunderlist was created in 2009, but Microsoft acquired the company in June and added it to Office 2016. So those of you who solely rely on Office apps to ensure productivity will be pleased to see this new tool added to your suite. A similar, though unique, feature exists for enterprise Office users. Planner allows managers to create a dashboard for group tasks. Managers can assign projects, track progress and rearrange responsibilities directly from the dashboard. Instead of your boss sending a group email telling everyone what their new assignments are, your boss can simply drag and drop a responsibility from your column to your colleague's. The best part: you don't have to keep your eyes on the dashboard all day. Whenever someone makes a strategic change, group members receive a notification.